Lauren Bacall: An astonishing portrait of the actress as an old woman by British celebrity photographer Andy Gotts (PHOTO). Lauren Bacall at home in New York City in 2013. With the death of Lauren Bacall at age 89 have come the inevitable tributes to her youthful beauty and enduring style. She was known for her trademark smoky voice, sultry gaze, and cool poise. And then there was the seemingly effortless sartorial glamour: plunging necklines that looked just right on her slim figure, her embrace of high-waisted trousers and Yves Saint Laurent’s Le Smoking tuxedo suit that ushered in generations of women wearing pants. So often in our collective mourning for the loss of an icon, we grieve for who she was long ago, when we first fell in love with her. Looking at photos of Bacall in her prime is a sweet exercise in nostalgia. 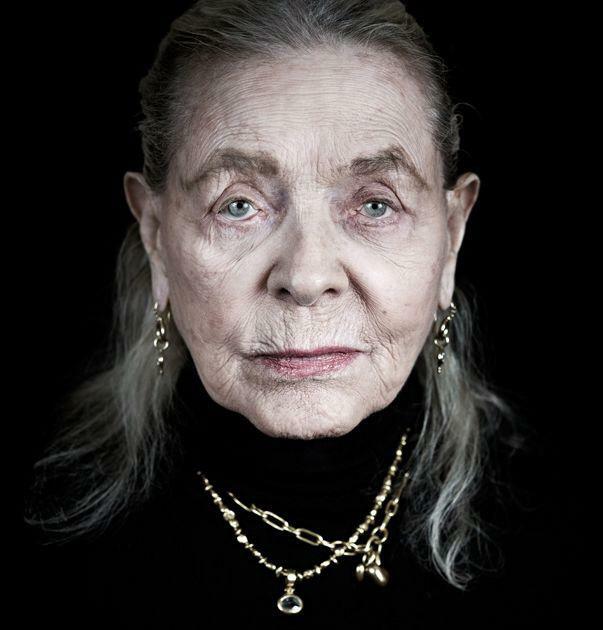 But this remarkable portrait taken last year by British celebrity photographer Andy Gotts captures the woman that Bacall became toward the end of her life, which is equally worth celebrating. Gotts shot the photo for a project called Behind the Mask, in which he traveled the world to photograph every person who won or was nominated for a British Academy of Film and Television Arts award for acting since 1954. * The photographs were displayed at London’s Somerset House earlier this year. We all become caricatures of ourselves as we age, our features more pronounced and exaggerated, but some Hollywood actresses become grotesque plastiches of their former selves. Bacall copped to having had a handful of Botox injections, but her face is a testimony to her feelings about plastic surgery. At age 88 in the portrait above, she looks exactly like herself. The screen legend and fashion icon as mere mortal, with us right up until the very end. *Correction, Aug. 13, 2014: This post originally misstated that Andy Gotts’ project Behind the Mask only photographed the actors who won BAFTA awards. He photographed nominees as well. It also misstated that BAFTAs were first awarded in 1954. They began before then, but Gotts only photographed nominees and winners after 1954.